You don't have to go on any game show to know when the bird is right. Birding is a great hobby that can be done virtually anywhere, at any time. 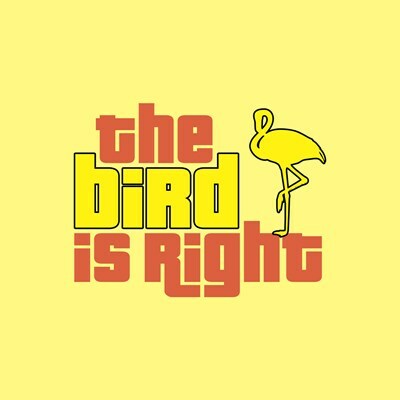 So the bird is always right! This is a cute, spoofy design made just for birders. In warm colors, this unique design looks great on t-shirts, bags, hats and more. Great gift ideas for the birdwatcher in your life! To order by phone, call toll-free at 1-877-809-1659 from Monday - Saturday 9:00am - 9:00pm EST. You'll need to note the Product Number 030-364834682 to make your order.